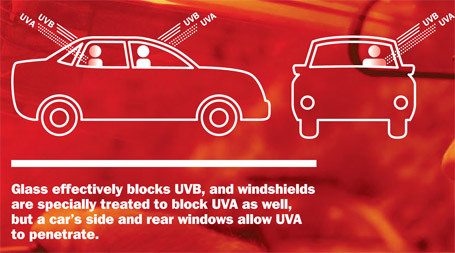 The Skin Cancer Foundation recommends window tint as a part of a comprehensive sun protection program. This recommendation often comes as a surprise because people think only of outdoor sun safety when they think of skin cancer prevention. While wearing sunscreen, covering up and staying in the shade are all keys to helping protect against UV light while outside, you should consider a more complete approach to prevention that includes protecting yourself and your family while indoors, specially on the road. UVA rays penetrate deep to the skin and silently accelerate aging process cause wrinkles and skin cancer. – One in Five Americans develop skin cancer in the course of their lifetime. 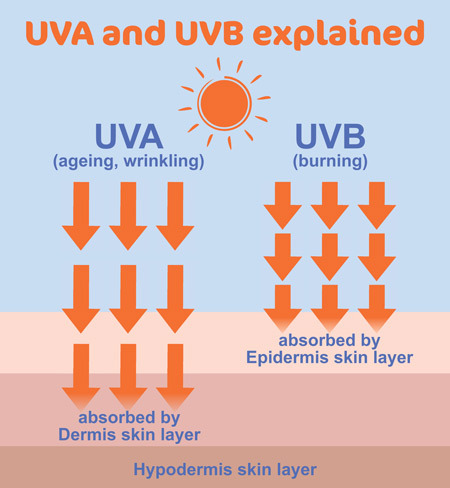 – You can’t get sunburn in your car but UVA rays can still reach you. – Skin cancer is the most common cancer in USA. – More the 90% of visible changes commonly attributed to skin aging are caused by the sun.